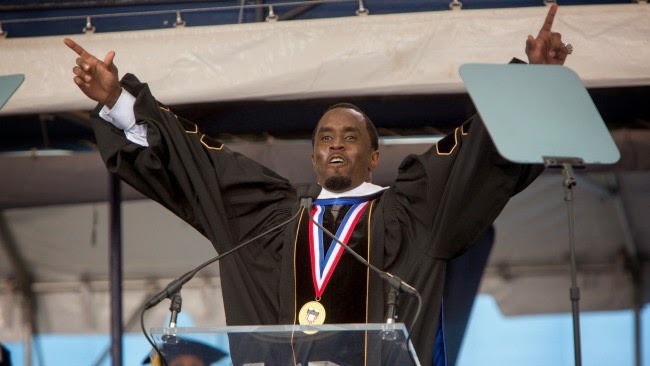 Although there was some slight controversy surrounding his invitation to be the commencement speaker at Howard University's graduation, Diddy definitely rose to the occasion. The mogul definitely has his detractors, but I think he made for an excellent choice by the university. Diddy may not have achieved his wealth through conventional means (i.e. getting a college degree), but he is still an American success story that many can learn from. I don't think he should be judged by his personal life because at the end of the day it is his life. I don't think Howard was celebrating his personal life rather they were celebrating things he managed to accomplish in his business life. Those things should be admired just as his speech should be.